Northumberland County Council's HQ at County Hall. Northumberland County Council should bring in more income from council tax next year, after an increase in its base was approved. At Tuesday’s (January 15) meeting of the authority’s cabinet, members agreed the council-tax base for 2019-20, which equates to 104,816.7 band D equivalent properties – an increase of 2,148.02 on the current year. Some of this growth is a result of the decision to cut council-tax support for working-age claimants by eight per cent, meaning all households will have to pay something towards their bills from April. This controversial reduction from 100 per cent to 92 per cent relief was finally approved at last week’s full council meeting despite strong opposition, because it is set to save the council £1million a year as it aims to cut £36million from its budget over the next three years. But even if this hadn’t gone ahead, Northumberland’s council-tax base still would have grown, largely due to the fact that there are 1,237 more homes in the county compared to last year. The non-collection rate has also been reduced – to 0.7 per cent – given the ‘consistent performance in terms of collection rates over the past few years’. Towns and parishes should receive their figures shortly and the breakdown shows that while the majority have seen a rise in the number of band D equivalent properties in their areas, a number have seen small decreases, particularly in the north and west of the county. The council-tax base is a measure of the authority’s taxable capacity for the setting of its council tax and legislation sets out the formula for the calculation and the requirement that the tax base is formally approved. There are 153,306 dwellings in Northumberland (as at September 10, 2018), which are all included in one of eight valuation bands from A to H. For calculating the council-tax base, the numbers are recalculated into a common base of band D equivalents. 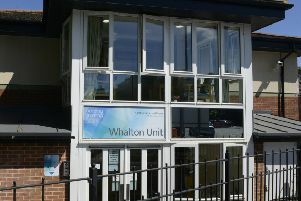 The medium-term financial plan approved by the council last February assumes a 1.99 per cent increase in council tax for 2019-20, following a 2.99 per cent hike last year, but the budget will be finalised at a full-council meeting next month.